In June of 1994, two young men from Venezuela, visited the Opelousas Ave. Ave Maria Rosary Group. They claimed to hear and see the Blessed Virgin Mary. They shared messages of conversion, penance, fasting, sacrifices, weekly confession, daily Rosary and Mass. 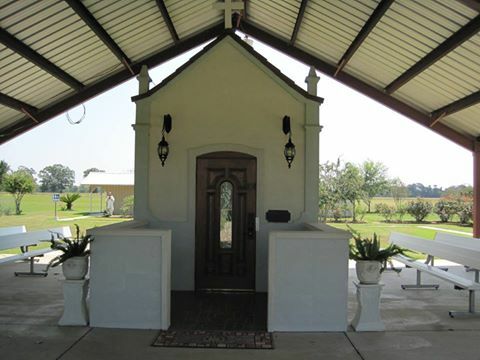 In April of 1996, Our Lady asked the Ave Maria Group to build a replica of the original Fatima Shrine. This was built by hard work and donations. The Shrine was opened on November 19, 2000. We have had claims of healings, conversion and answered prayers from attendees of the Shrine since that time. We invite you and your families to come to the Shrine to pray and receive the blessings, comfort and peace from Our Lady. The Shrine is open daily from 6:00 am to 6:00 pm. There is a Cenacle of Prayer held at the Shrine every Wednesday from 3:00 pm to 4:00 pm. 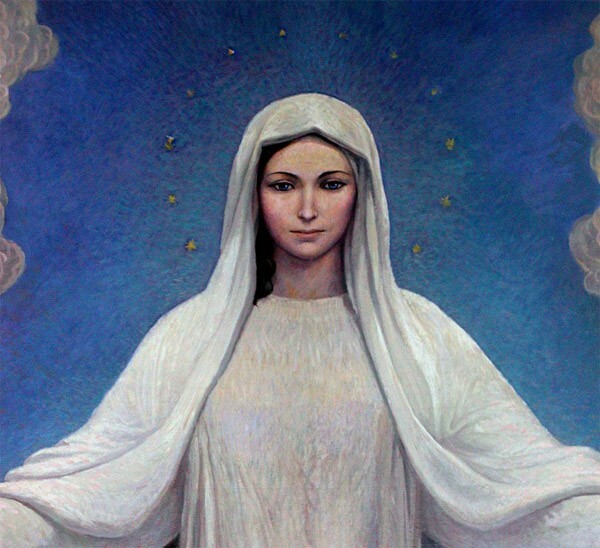 On the First Saturday of each month, Our Lady has promised her presence at the Shrine from 6:00 pm to 6:05 pm. She is there to receive our petitions and prayers. The recitation of the four Rosaries and Way of the Cross begins at 3:00 pm. Everyone is invited to come and pray at the Shrine. 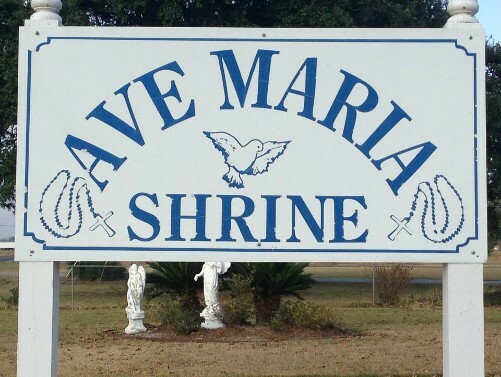 The history of the Shine written above was approved by the Shrine's Spiritual Director.